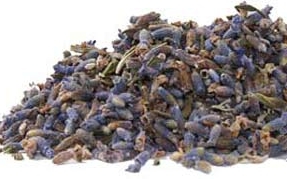 Lavender is aromatic perennial evergreen shrub. Its woody stems bear lavender or purple flowers from late spring to early autumn, although there are varieties with blossoms of white or pink. Lavender is native to the Mediterranean, but now cultivated in cool-winter, dry-summer areas in Europe and the Western United States. The use of Lavender goes back thousands of years, with the first recorded uses by the Egyptians during the mummification process. Both the Greeks and the Romans had many uses for it, the most popular being for bathing, cooking, as an ingredient in perfume, healing wounds, and as an insect repellant. Lavender was used as an after-bath perfume by the Romans, who gave the herb its name from the Latin lavare, to wash. During the Great Plague of 1665, grave robbers would wash their hands in a concoction called “Four Thieves Vinegar”, which contained lavender, wormwood, rue, sage, mint, and rosemary, and vinegar; they rarely became infected. English folklore tells that a mixture of lavender, mugwort, chamomile, and rose petals will attract sprites, fairies, brownies, and elves. Lavender is also known as Lavandula (spp- intermedia, pendunculata, officinalis and angustifolia) English lavender, Broad-leaf Lavender, Grande Lavander and True Lavender. Constituents: Essential oil containing borneol, camphor, geraniol, and linalool, also coumarins, caryophyllene, tannins, and other antioxidant compounds. Typical Preparations: Teas, tinctures, and added to baked goods. Cosmetically it has a multitude of uses and can be included in ointments for pain and burn relief. Precautions: For best results, avoid heating the herb directly with boiling water, although a simmer is fine. 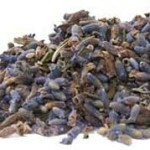 You can purchase Organic Lavender flowers in bulk through The Apothecary Online along with other herbs and health products.